At Premier Academy of the Performing Arts, we are committed to quality dance education in a positive and safe learning environment. Parents can expect open communication, a professional environment, and respect for each child. Every student is important to us, each deserving to be treated as an individual. Each student will be given the opportunity to grow, whether he/she is a recreational dancer or a serious student with dreams of a performance career. Above all, our students should learn to appreciate and love the art of the performing arts and leave each class feeling good about him/herself. 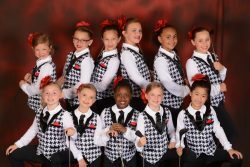 Premier Academy offers a wide variety of dance classes for all ages. Detailed information on schedule, cost and availability can be viewed by linking to Premier Academy’s class schedule. An overview of Premier’s offerings follows. Ballet is the foundation of all other forms of dance; and a critical piece in the technical development of dancers. A ballet class is required for any Premier student who wishes to participate in jazz. In this class, students will learn classical ballet positioning through exercises at the barre, center floor, and across the floor progressions. This class is for advanced ballet students. Teacher recommendation is required in order to be placed in a pointe class. Tap is a unique style of dance that utilizes the tapping of toes and heals to create a rhythmical journey. Through this fun and energetic form of dance, a student gets to be both the dancer and the band. Tap is an excellent foundation for developing coordination, rhythm, dynamics and personal style. Hip Hop is an energizing stylized urban movement. Steps taught in this class are a clean, hip-hop street style, incorporating such moves as popping, locking, and breaking. This high energy, athletic, fast-paced class is a fun way to learn the latest moves soon on TV. Come prepared to sweat! Lyrical is an expressive dance style that fuses ballet and jazz technique to express the feeling of a musical piece. Lyrical dance is expressive and is simultaneously subtle and dynamic. It is designed to convey musicality and emotion through movement. Lyrical dance encourages use of body line, weight, and quality of movement. Modern dance encourages dancers to use emotions and mood as the basis for its steps and routines. It is an interpretative style of dance focused on telling a story or conveying an idea through movement and emotion. The dance form was developed by a ballet dancer who was tired of following the rigid rules of ballet. This 30-minute class is structured to enhance creative ability, attention span, and musicality of the young beginner. The class focuses on the basic techniques of tap and ballet, as well as developing motor skill through games and activities. This 45-minute class continues to teach the fundamentals of tap and ballet techniques while introducing the basic jazz concepts. This class encourages students to further develop their rhythm, flexibility, coordination, and balance through proper form and repetition. This 1-hour class provides intermediate tap and jazz instruction. This class focuses on the improvement of dance skills by building strength, flexibility, coordination, and endurance as well as confidence and showmanship. This 30-minute class is structured to fit the needs of our youngest dancers. The class emphasizes the development of gross motor, listening, and cognitive skills while encouraging expression and creativity. 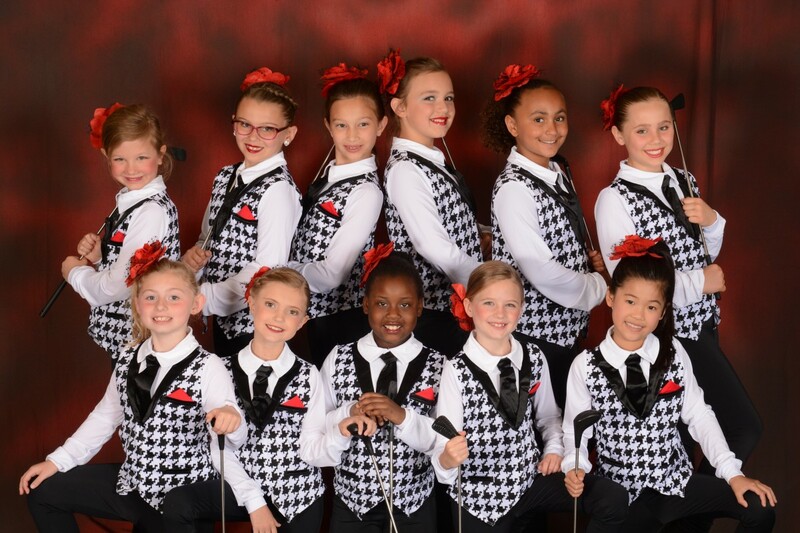 For more information about Premier Academy dance programs please contact the studio at 317-696-9043. Students in our creative movement class are encouraged, but not required, to wear a leotard without tights (non color specific). Students may chose, instead, to wear comfortable non-restrictive clothing such as leggings and a t-shirt. If possible the hair should be pulled back out of the face.